Rainbow Beach Sports Club is the most rewarding club in Rainbow Beach. 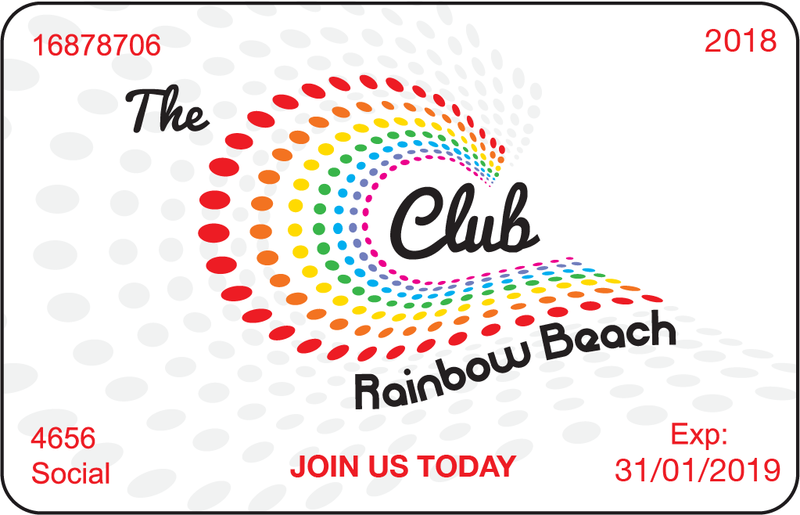 By becoming a member of the Rainbow Beach Sports Club you not only get access to the great facilities and the best prices in town, but are also rewarded with members points! Members’ points can be redeemed not only for products from the bar but even cash! Members also win great prizes, gift certificates and have a chance to win $1000 cash every Friday and Sunday night with the Members Mega Draw. Simply use your membership card every time you spend money across the bar or put it in the pokies while you play to accumulate points. Residents of Rainbow Beach must be a member of the club to use the facilities and buy alcohol. The membership year is from January 31st, with social and full memberships available. Renewals are automatically sent to all members and membership renewal savings are offered only during the stated period and can only be accessed by receiving the annual renewal notification. To join “The Club” you are required to fill in a membership form, click on the membership link on this web page after filling in the form you are required to make your payment in full. Once both the form and payment have been processed your personalised membership card will be available for pickup at the club. If you require the card to be mailed to you then you must ensure the box is ticked on the form. If you don’t wish to pay online please download form and fax / mail / hand deliver to the club for processing.